Planting Apple Trees - 3 Great Backyard Varieties To Plant This Fall! Fall is the perfect time for planting, especially when it comes to planting apple trees! When it comes to planting apple trees, the Gala is one of our favorites! And that’s not even counting the simple pleasure of biting into a crisp ripe apple plucked straight from the tree! A lot of folks shy away from planting apple trees in their yards, thinking they grow too big or take too much care. But with many dwarf and semi-dwarf varieties, you can fit a few apple trees in the tightest of spaces. Planting apple trees in the fall allows just enough time for their roots to become established before winter. The cool fall air lets trees become accustomed to the soil, without the sweltering heat and stress of summer. Planting Apple Trees – 3 Great Backyard Varieties! To be completely honest, we had never heard of this variety until planting it in our own backyard 6 years ago. But what an apple tree! The tree has a very tight and compact nature, and the limbs stay in a near perfect upright position. The smaller size of both the dwarf and semi-dwarf varieties make them great for smaller sized yards. And then there are the apples, which turn to a gorgeous deep reddish-crimson color. The Arkansas Black gets is name because the apples take on a near black-like appearance as they mature. They are great for baking, and also good for juice, cider and apple butter. Even better, they store extremely well. The Arkansas Black is considered a self-pollinating tree, meaning they do not have to have other apple trees around to pollinate. With that said, they do perform even better when there is a second pollinator. They work well with Jonathon or Golden Delicious. Semi dwarf varieties grow about 15′ tall and wide, while the dwarf varieties grow about 10′ tall and wide. The Arkansas Black is hardy in Growing Zones 4-8. When it comes to baking apple pies, apple crisp and apple turnovers, you simply can’t beat the Gala. The Gala, much like the Arkansas Black, is a beautiful addition to the landscape with it’s full foliage and fast growing nature. The tree is a renowned heavy producer of large, crisp apples that also are also perfect for snacking. 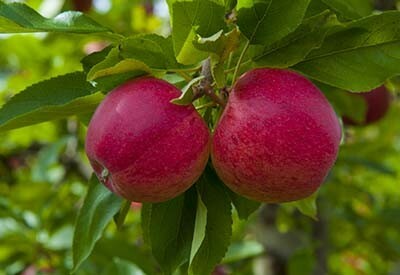 Gala apples also store well, and in the right conditions can be kept for up to 6 months. The Gala is another variety that is partially self-pollinating. But for better production they do well when planted near white crab apple or McIntosh. 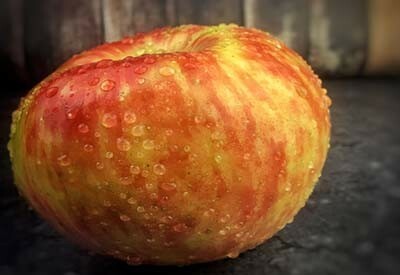 When it comes to planting apple trees, the Honeycrisp variety is one of the hottest sellers! This apple has quickly become everyone’s favorite, and with great reason. The apples are sweet, firm, juicy, and simply delicious! The tree itself is a beauty, growing quickly into a shade provider that tops out around 15 to 20′ wide and tall. The tree prefers full sun, making it an excellent choice for those wide open areas of your yard. Honeycrisp apples ripen to a yellowish color with faint reddish hues in September. They are simply one of the best eating apples around. 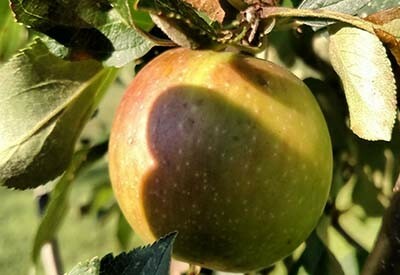 The Honeycrisp is another partially self pollinating tree like the Black Arkansas and Gala, but will perform best when planted near a pollinating partner such as the Gala, McIntosh or Granny Smith. So get those trees ready and get planting this fall so you can enjoy home-grown apples for years to come! Happy Apple Tree Planting – Jim and Mary If you would like to receive our DIY, Gardening and Recipe articles each week, you can sign up via email at the very bottom of this post. You can also like and follow us on Facebook, Twitter or Instagram to receive all of our latest tips and articles. This article may contain affiliate links. Good morning Joyce. It depends on a few things – how old is the tree you are putting in, and of course, the type of apple tree. But with that said, a typical 2 year old transplanted tree will take about 2 to 4 years to see your first apples. if I were to plant these this year how long before we get apples from them? We have planted 13 fruit trees – full size, not dwarf, in a smaller space using the methods in “Grow A Little Fruit Tree” book and prune them twice a year according to the detailed instructions so that they will never be more than 6 – 7 foot tall, eliminating the need for a ladder! We have 4 apple trees in a 10′ X 10′ square area- Honeycrisp, Gala, Empire and Jonagold! We also have 2 peaches, 2 pears, 3 cherries and 1 apricot and 1 aprium! They are thriving and we look forward to a harvest next summer/fall! On the bright side there are some app,e trees that will work in zone 9. Planting some this winter.